No need to RSVP for Tasting Bar Free Events. We recommend that you have a meal prior to the class. Please taste responsibly and prepare for a safe ride home. All paid tasting are subject to applicable taxes. Call (604) 416-1672 to register for paid tastings. Part of a series of classes hosted by Mark that explore the history, culture, and production of wine in often overlooked regions - This Mediterreanean wine class will cover everything from Greek history to Turkish mystery and include some modern surprises (to everyone but the locals). A fine selection of wines circling the Mediterreanan Sea will be poured for tasting and hopefully you can get lost in the beauty of the region for a quick getaway without paying for a flight. Opa! Şerefe! L'Chaim! See you in the Mediterranean! For too long, people have been limited to only the Sauvignon Blanc of the Kim Crawford line. This class will unlock the flavours of the entire Kim Crawford portfolio and get a worldly education on the styles and growing methods of some of NZ's most incredible wine locations. Note: We reserve the right to cancel or postpone classes (in which case customers will be notified and fully reimbursed). A refund or transfer is available up to 7 days before events begin. Between 3-7 days, 50% of ticket value will be given as store credit. No refunds 48 hours prior to event. No refunds or credits for missed events. Participants must be at least 19 years of age. These are FREE drop-in events hosted at our store locations. Tired of buying the same usual wines? It’s time to try something NEW! How about our Wine of the Week? It’s a hand-picked selection from our professionally trained staff. Guaranteed to be a perfect pairing for weekend hosting, a last-minute gift idea, or a quiet evening in! "In cruel words that have been long dreaded, yet grimly anticipated, Game Of Thrones will meet its true TV death in season 8...and the final season will begin airing on April 14th." Let's celebate by tasting GoT themed wines and talk about how much we missed the show! Named for the solitary majestic old growth pine of their Oliver estate, Le Vieux Pin sits perched amidst the famed vineyards of the Black Sage Bench: Canada’s sole pocket desert, located in the South of British Columbia’s Okanagan Valley. Since releasing their first vintage in 2005, Le Vieux Pin has captured the essence of traditional French winemaking, along with the bold New World character distinct to the region. Join us for a great selection of Le Vieux Pin. Therapy Vineyards & Guesthouse is located in beautiful British Columbia, situated on the Naramata Bench near Penticton. The 10-acre vineyard has 10- to 14-year-old vines that have produced bountiful crops and have produced several award-winning wines. With its west-facing orientation and close proximity to the lake, Therapy Vineyards is able to enjoy long, hot days and a long growing season. These beautiful surroundings are not only pleasing to the eye, but they are pleasing to the grape and are very inspiring to both human and vine. Join us for a "therapeudic experience." Join us for some beers that will refresh and tantalize your tastes buds this Spring! LaStella is Situated near Osoyoos Lake in the sunny South Okanagan in beautiful British Columbia. The vineyards produce great fruit and are crafted into proprietary wines; such as, Leggiero, Vivace, and Fortissimo. Each wine has its own story — and to convey this unique story the wines are named after Italian musical notes. 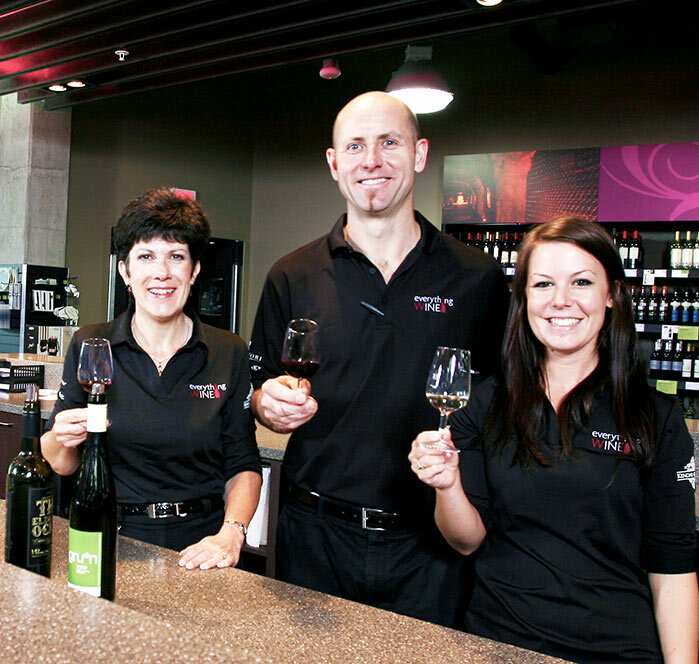 Do not miss out on these award winning BC wines. Are your tastebuds ready to tango? April 17 is the 9th annual Malbec World Day. In honour of Argentina’s flagship varietal join us from 3-7pm for a FREE tasting of a selection of some magnificent Malbecs paired with tasty snacks. Earth Day is now a global event each year, and it is estimated that more than 1 billion people in 192 countries now take part in what is the largest civic-focused day of action in the world. Let's celebrate this day together by tasting eco friendly wines. YAY! Often spelt Sémillon, his is one of those grapes which tends to be much more appreciated by wine insiders than by the average wine drinker. They know that, were it not for the richness of Semillon the wine and the thin skins with their propensity to be nobly affected by botrytis of Semillon the grape, we would not have the truly great category of wines that is Sauternes and Barsac, the longest-living wines in the world. Join us to taste delicious white blends that have Semillon in them to admire this rare grape variety even more! Discover the world of artisan spirits with Langley's Roots & Wings. This family owned-and-operated craft distillery is inspired by agricultural roots and uses ingredients grown on their country farm. Welcom Spring with this yummy selection of Cote Du Rhone Rosés. Join us to cherish biodynamic, crispy, fruity, and delicious Rosés.